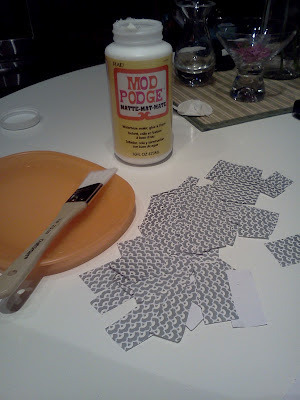 We are celebrating hump day with a little DIY. 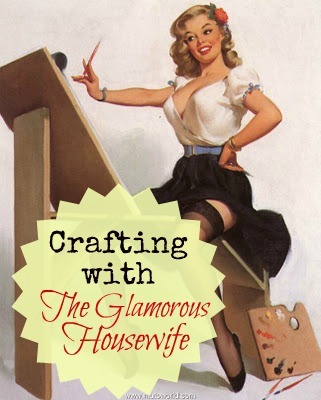 One of my favorite blogs “The Glamorous Housewife“ by the ever-so-lovely Bethany Herwegh, has started a weekly feature on her blog called “Crafting with the Glamorous Housewife”. You can read the announcement HERE! Her plan is to complete one crafting project a week. 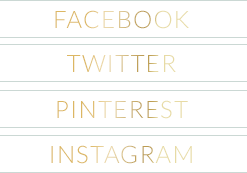 The project and material list will be posted on her blog every Sunday and the results of the project on Wednesday. This week’s project is to decoupage a vase. 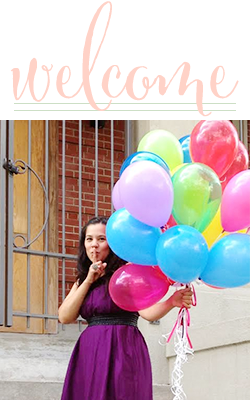 The best part is that she has asked all her readers to join in and share their versions of the Sunday crafting feature. 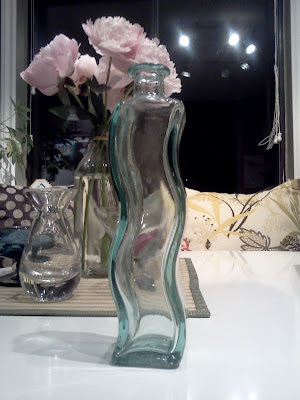 So here is my step by step guide to decoupaging a vase. 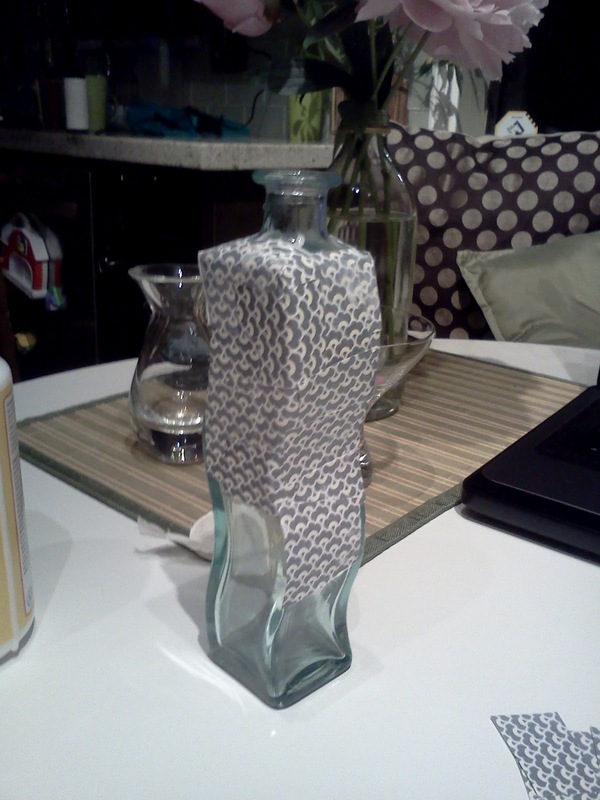 Let me remind you it is my first try at decoupaging since elementary school, and seriously... that was a lifetime ago. Select a vase to decoupage from the many we have in are “vase” cupboard this was not an easy task I actually like all my vases and the thought of the possibility of me ruining them made it hard to choose but I finally came across a dollar store vase that I was okay to part with if the project went array. 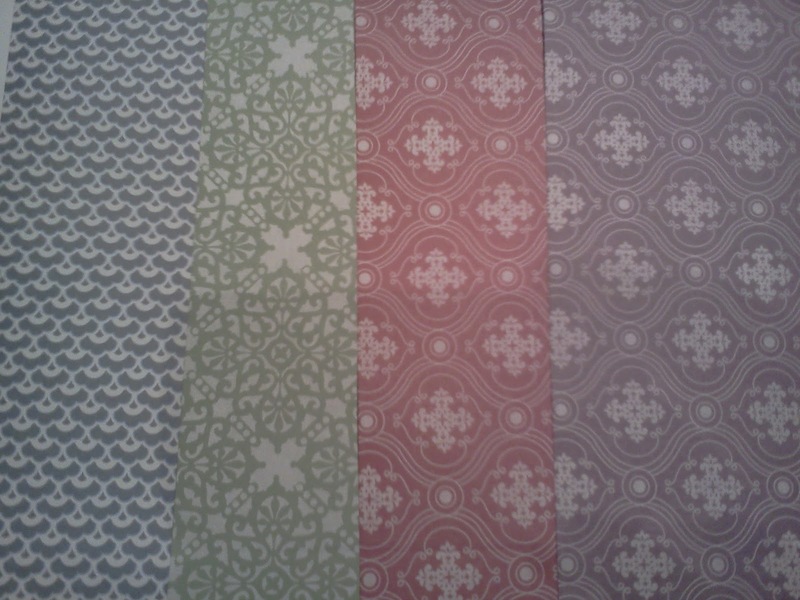 Select the material to decoupage with- I recently bought a book of some scrapbook paper from Michael's with some beautiful prints. I then ripped the paper into small pieces. 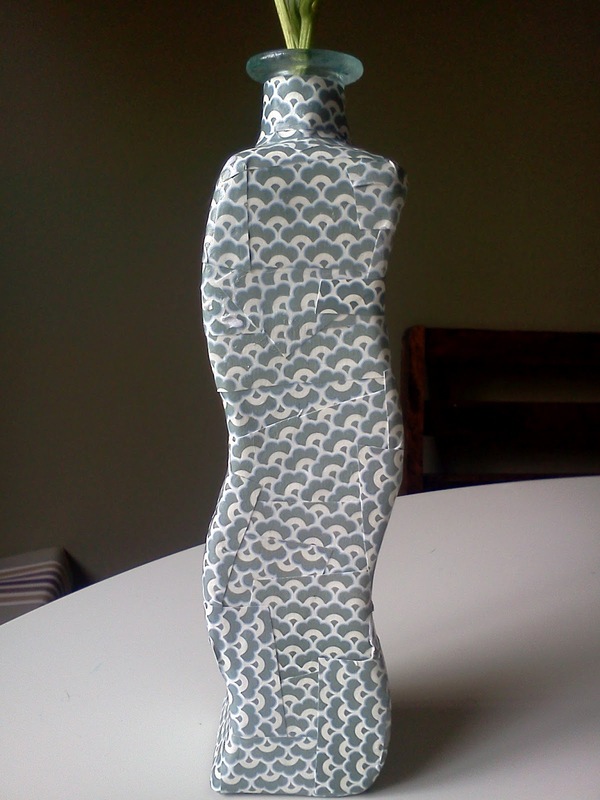 Because of the size and shape of the vase I had to rip the paper into even smaller pieces to follow the curves. I then painted the paper with mod podge and then stuck them to the vase one strip at a time. I had to run my fingers over the edges of the paper to make sure they stuck. Once all the pieces were mod podged onto the vase I made sure to paint over the entire vase and scrap paper with mod podge to ensure everything was secure. 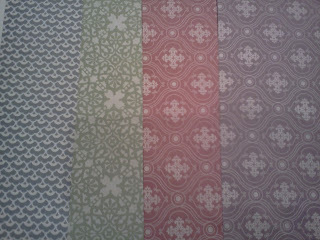 Here is the finished project! I still would like to add twine, ribbon, or some type of string wrapped around the top. 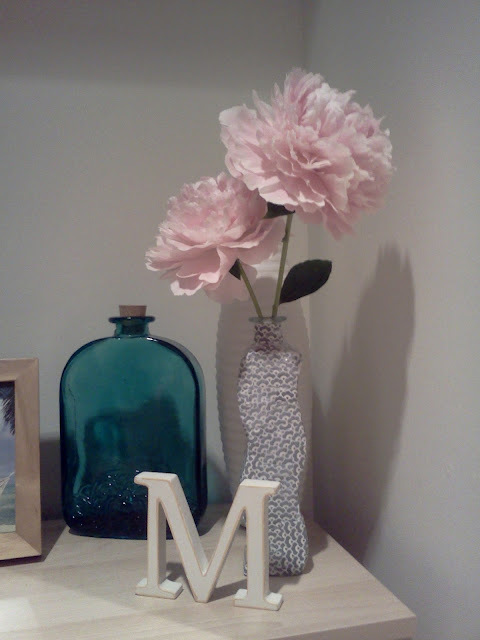 All in all I am pretty proud of my first decoupage craft! What about you, any fun decoupage crafts you would like to share?!!? Love it! And I think the shape of the bottle is so interesting. Wonderful job.